Samsung lovers do not have to wait longer to see the form and specifications of Samsung's next flagship smartphone, the Samsung Galaxy S9 and S9 Plus. A site preach, next generation smartphone from Samsung it will be introduced at the annual electronic exhibition event, Consumer Electronic Show (CES) in January 2018 in Las Vegas, United States. The appearance of Galaxy S9 and S9 Plus at CES 2018 will be the first time the device is shown to the public. Previously, many are curious, how about the appearance of the latest Samsung Generation that reportedly will be marketed in 2018. Although exhibited earlier, does not mean Galaxy S9 and S9 Plus officially released. In accordance with the tradition of Samsung, the launch of the Galaxy S series still held in March. 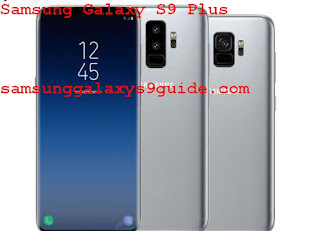 Based on the information we collected, Galaxy S9 and S9 Plus carry the code SM-G960 and SM-G965. By Samsung internally, both are called Star 1 and Star 2 passwords. In terms of design, Galaxy S9 and S9 Plus will carry the feature of infinity screen (bezel-less) material Super AMOLED measuring 5.8 inches. While the Galaxy S9 Plus carrying a larger screen size, which is 6.2 Inches. In terms of hardware, leaked circulating call Galaxy S9 equipped with 4 GB of RAM. While the Galaxy S9 Plus comes with 6 GB of RAM. Internal storage is both 64 GB and supports Micro SD slot. Chipset that carried Galaxy S9 and S9 Plus is the latest flagship chipset made by Qualcomm, Snapdragon 845. Another difference, the fingerprint sensor Samsung Galaxy S9 and S9 Plus will be moved to the bottom of the rear camera lens, to facilitate user access. Previously, Samsung got criticism on the Galaxy S8 because the fingerprint scanner is placed on the right side of the camera lens behind, where users difficult to distinguish when fingered. In the series Galaxy S9 Plus, Samsung is also called going to provide a secondary camera. That is, Galaxy S9 Plus will carry dual camera features like the Galaxy Note 8. While the Galaxy S9 still carry a single camera on the back. In terms of audio, Galaxy S9 and S9 Plus will be equipped with earphones made by audio vendors AKG. More interestingly, Galaxy S9 and Galaxy S9 Plus still maintain the earphone jack 3.5 mm. This is not done by rival, Apple, which since the release of iPhone 7 no longer include earphone plug. Hopefully this rumor can come true, let's wait together in January 2018 may be mid or even ahir months.